HomeTech BytesMy 3D Glasses are here!! My 3D Glasses are here!! I may not be the richest kid in the town but I sure love to buy what my heart craves. I have seen many people flaunt their expensive high end mobiles or those iPads. But when it comes to using those gadgets, they limit themselves to making calls or just watching movies or browsing he internet. The true potential of that device remains unlocked, almost always. It’s very disheartening to find out that people buy high end android phone and play tetris on it. If you read the autobiography of those devices, you’ll know that they feel their life’s wasted. Not with me. I try to live my life with technology the fullest and get every bit of juice out of it. And to keep in line with that, I just bought the active 3D glasses for my Samsung SMART TV. Found a very good offer on ebay.in and decided instantly that I had waited long enough. The seller shipped it to me within 3 days, enough time for me to download two 3D videos. 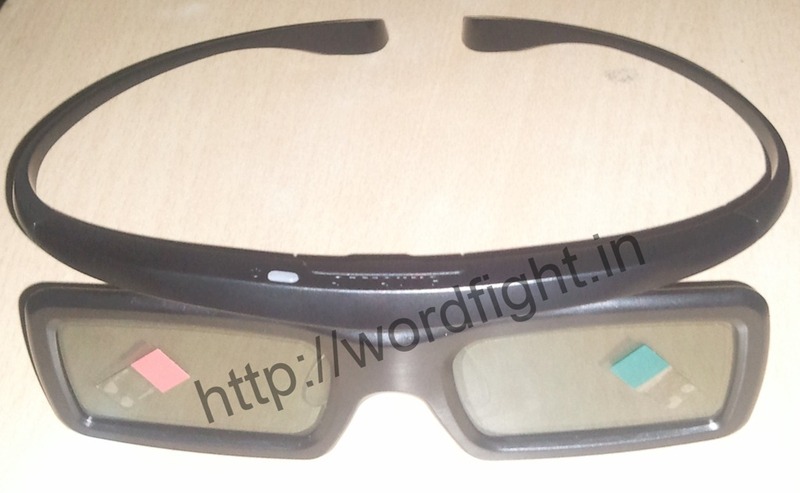 The model number for these Active 3D glasses is SSG 3050GB and is compatible with D6000 and above LED TV released in 2011 and D490, 550 Series and above for Samsung Plasma TV released in 2011. The glasses came in cute packaging and the seller took extra care to pack it in a plastic container to avoid damage. Included in the pack is a short, multilingual, handy operation manual, which doesn’t specify if I should remove the plastic protective covers on the glasses. I guess I have to. The box also contains lint free cloth for cleaning the glass and a non rechargeable battery(standard 3V CR2025). Insert the battery and the glasses are ready for use. Since this glasses use active shutter technology, you require a dual frame video(L/R). 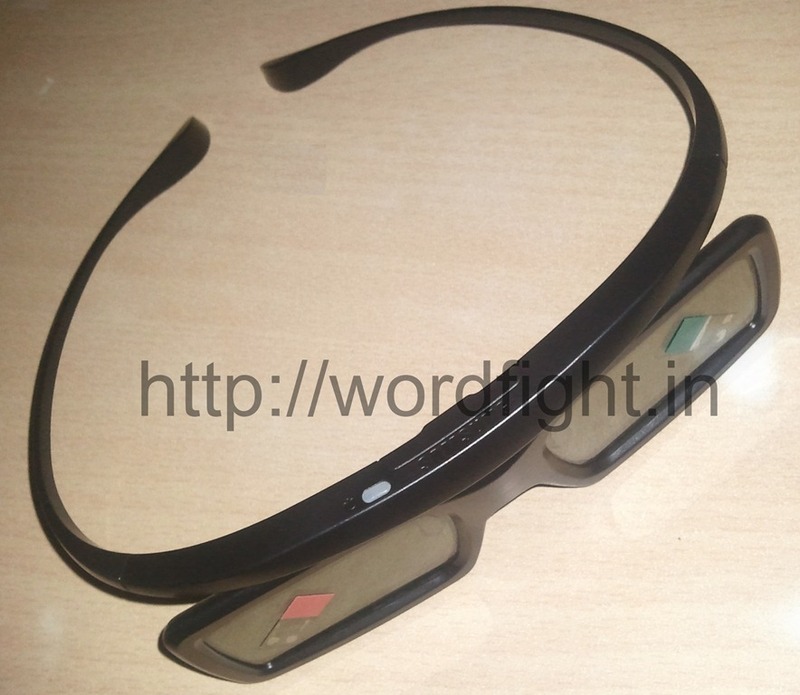 Sadly, we do not have any 3D transmission in India as of now, but the glasses also work with the video running from a pendrive. All you need to do is switch on the glasses using the white poser button on top and place them neat the TV. This will enable the glasses to pair with the TV and once paired, the TV will display a message confirming the pairing. After that, the video can be viewed from a distance of about 2 m to 6 m. For 3D effect, the 3D button on the remote should be pressed and the L/R image mode should be selected. I had no problems whatsoever in carrying out the process. The pairing went on smoothly and before I realised, I was watching an IMAX video in 3D. The glasses can get a bit uncomfortable due to its weight. Also since there is no provision for recharging, the battery needs to be changed after about 150 hours. Also the design of these glasses is not exactly orthodox and for some they may look strange. But for me, they are entertainment at the fullest.